Are you saying to pour the oat mixture into the boiling water? Or is it opposite? Hi Linda — you pour the boiling water over the oat mixture. Thanks for flagging that it isn’t clear. I’ll update the wording. I’ve been looking for a good brown bread receipe and tried this one got started but didn’t check my flour supply I was 2 cups short so I hunted through my supplies and found Bran & some Allran cereal put a cup of each in to replace the flour I was short and baked it off. It was the most moist bread I’ve tasted in guite a while. I think someone in your test kitchen should give it a mix up. What a great discovery! As you suggested, I’m going to play with the recipe a bit. I love the idea of adding bran. (I had a note from someone else who added flax to this recipe with great success). You can substitute the oatmeal with 3-4 large biscuits of shredded wheat. Also very good. Great recipe thank you! My printer is not working right now..so I C/P and e-mailed to myself..minus the pics..sounds delicious and might give it a try..thanks for sharing!! 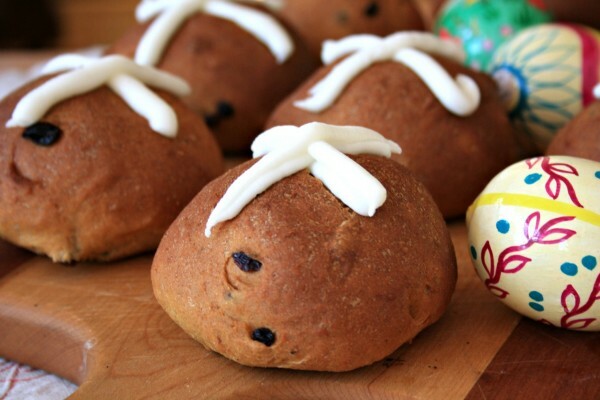 Looks good, but can I substitute whole wheat flour without changing anything else ? Yes, you should be able to substitute whole wheat flour without a problem. You might want to try it first half and half, to see if you like the texture, and then go from there. Dear Valerie, I would love to hear what you think about the recipe. Hopefully it’ll be exactly what you have been looking for. this is a familiar recipes except I use an egg and oil..But I will try it ,yummy! You mean you don’t let it rise before panning it. First time I seen a recipe like this.. I know, that’s why it’s so easy. Just one rising. I proof my bread in my oven, if you don’t have a proofing setting on your oven. Turn the oven on to 200 degrees, once heated turn the oven off; open the door to let the initial heat out, then put your bread in the oven let it rise. Remove it once it has double in bulk, heat your oven to the desired cooking temp. Put your bread in the oven and cook as per the recipe states. This prevents your bread getting a cold ‘draft” while rising. What a great tip Carole. It will sure speed up the process when baking bread during the winter. Thanks for sharing. I have always raised my bread in the oven, works great. I do something very similar. Turn the oven on the lowest temperature setting for 20 – 30 seconds just to heat it up a little bit, then turn the light on and it will keep the oven warm. i’ve been using this method for years. That is such a great suggestion. It’s the next best thing to having an old fashioned bread box. I started making this bread a gzillion years ago. It is STILl my go-to recipe when winter arrives, as it seems to have done this morning. I know what you mean. As soon as the snow flies it’s on my mind. Will be trying this one today!!! Love it when you don’t need to double rise it!!! Much quicker! I love raisins in my brown bread. |Is it okay and how much is allowed? I’d start with 1 – 11/2 cups. It should still rise and bake fine. Good luck! Hi Sheila — I have never measured them but they’re on the large size. I have instant yeast,can I use that in place of dry yeast? And how or when would I add it to the mix? Hi Charlee, Hmm, I’m not sure exactly how to swap instant for regular yeast but this is what I found on line: in substituting instant yeast for active dry yeast, it generally accepted that you would use 25% less of the instant. Good luck! Yesterday I just made the Oatmeal Bread from the first book…it seemed SO batter like for the first rising that I added 1 more full cup of flour and then before kneading it i added another 1.5 cups because it was so sticky. However, it turned out to be the best loaf of bread I have ever made!! Beautiful sofr texture and loaded with flavour! Thanks! Hi Heather — Thanks for the feedback on the oatmeal bread. We put the recipe in our new book too so I have made a note to test it. Would bread machine yeast be the same as dry yeast? Hi Brenda — I have a feeling bread machine yeast is a little different. This is the conversion info that I found…”To substitute instant or bread machine yeast for active dry yeast, use 25% less instant yeast than active dry yeast.” Good luck! Hi I am wondering if you need to use 2 tsp. of salt or can you use no salt. Hi Jean — I believe that salt is an important part of making the bread rise properly. Here’s a bit of info I found that better explains it: “Salt is used in most bread recipes to control the rate of fermentation and to give flavour. The presence of salt in a dough inhibits fermentation, which strengthens the developing gluten. This results in a bread with a stable crumb, a long shelf-life and more taste than breads without it.” That said, you could try reducing the salt a bit and see if you still like the texture and taste of the bread. Good luck. Hi Jackie, For this recipe there is no need to soften the yeast in the water. Just mix them together than move to the next step. It`s part of what makes the recipe quick and easy…no 10 minute wait to proof the yeast! Hi Cathy, You could use all purpose white or a whole white flour in the recipe. I hope you enjoy it! Hi, I can’t wait to try this. I am wondering though if you use white sugar or brown sugar.. I am thinking white as it’s not specified. I use white sugar but brown sugar would work too. Just curious….can this be modified for the bread machine? I will try this right now. Look delicious! Will let you know how it’ turn. I’d love to hear how it turns out! Enjoy. I am a New Brunswicker, live in Saint John. I cannot wait to try your recipe…have been searching for a tried and true recipe for a very long time! Thank you. This has been my family’s favourite for decades so I hope it’s what you’re looking for. 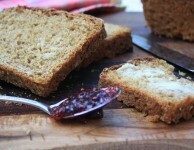 Hi Ann Marie, I’m curious, is the recipe that you bake similar to this brown bread recipe? I a malsonnant from NB, Saint John morte precisely. Can you send me your recipe. Looks great! Can I use the small packets of active dry yeast instead? Yes, a packageo of yeast usually equals 1 Tbsp. What a great idea…I love cornmeal! Awesome bread really tasty. Any herb suggestions ,? Hi Deb, Adding an herb is a great suggestion. I’m a big fan of herbes de Provence so would probably try that (I add it to my pizza dough). You’ll be happy to know that our molasses is made from sugar cane and is certified GMO free. It’s a good one. Enjoy! Can you use potato starch instead of flour. I’ve been buying a gluten free bread that contains potato starch and millet and wonder if you could substitute. Hmmm, I’m not sure if potato starch would be enough. It seems to me that a lot of gluten free breads have a xanthan gum mixed in but I’m not sure of the proportions. All that to say, I’m just a newbie in the gluten-free baking world. Sorry I can’t be of much help. Hello answering this lady about gluten free bread it is a mixture of different flours ta make this bread e-mail me if you want and I will send you the recipe I do have it. Thank you Gisele! I’ll email you this morning. Do you have a gluten free option for this recipe, Gisele? If so, will you please email it to me? Thanks! I would LOVE to have Gisele’s GF recipe!!! Thanks!! Have you tried this in a breadmaker at all? Any modifications needed? sounds like dessert to me – delicious! Hi, Don’t know that we can get the Fancy Molasses in the UK. Can we substitute anything else? If you’re willing to experiment a bit you could try a 3:1 ratio of Lyle’s Golden Syrup and blackstrap molasses or you could try a dark treacle. It won’t have the same tang of fancy molasses but it’ll get you close. Good luck! Hi Julie, I have never made a half batch of this bread but I’m sure it would work just fine. Hey, just wondering if I can mix this up in my kitchen aid if it would matter? Hi Muqia, I have never tried making bread with my mixer but I don’t see why you couldn’t give it a try. It wouldn’t need much mixing though since the only kneading required is to incorporate the last of the flour. If you try it could you let me know? Thanks! It’s rising now. Can’t wait to taste. Being a Newfie, I love sweet bread.,I added raisins to mine just for the extra texture.will post on results when I try it to taste. Hi Kathy, Sounds delicious, expecially with the whole wheat flour. I hope that it worked out well! I also used half whole wheat flour and half white. Put it together today, went snowshoeing for an hour, now I am going to bake it. We are having it with homemade seafood chowder which includes lobster caught by us, clams dug by my husband, Jim, scallops shucked by us and some haddock. Really what more could we ask for. I will let you know later how the bread and rolls turned. Wow, I’m so envious. Your chowder sounds so delicious and ultra homemade. I took a look at your rental cottages and they got me longing for summer. We have been meaning to take our kids to Deer Island so maybe 2013 will be the year. COULD YOU USE A SELF RISING FLOUR INSTEAD OF YEAST IN THE OAT MEAL BREAD. I am about to put a batch in the oven to have for Sunday dinner…Homemade beans, homemade meatballs, potato salad, and macaroni salad… Most likely will add a cake for dessert…Can’t wait to taste test it..
Wow Stephanie, I’d like to have supper at your house! I hope you enjoyed the bread. Amazing! The first batch was a huge hit. I used oats and some 12 grain cereal for a little multigrain feel. Today I am going to try this with a little less molassses (sorry, Crosby’s :))… just for a change and slighlty less sweet bread, which I think would be better for sandwhiches. I love how this recipe is so adaptable. I really enjoy hearing about the different ways people make this bread their own. Fantastic recipe, This bread has a small level of sweetness to it from the molasses but it blends in so nicely. Loved it, it’s a nice and thick hearty bread that goes well with a soup! Thanks Kayla, I’m glad you liked it. I’ll be sure to let my mom know too, since it’s the recipe I grew up with. Not sure if it was because I used black strap molasses or what, but 2/3 Cup of molasses is way, WAY too much for this recipe! I’d probably cut that amount in 1/2 at least, if not more. Even 1/4 cup would suffice! Blackstrap would definitely make a huge difference in this recipe since it’s so robust, a little bitter and not very sweet. I agree, 2/3 of a cup is perfect if you’re using Fancy Molasses but 1/4 cup it always my limit when using blackstrap or cooking molasses in any recipe. On the bright side, your bread made with blackstrap is incredibly nutritious. Thanks for the recipe. Im in the process of making it as we speak :))) I did use a mixture of rice flour, whole wheat & white… hopefully it turns out! Hi Chantell, Great idea to use a variety of flours. Let me know how it turns out. Is the dough suppose to be really sticky? Seemed like it needed more flour, but have only ever made double rising bread. I added a bit extra but didn’t want to ruin it…it is not baked yet, so I can’t tell if it is okay or not. Did the recipe work out alright for you? Sometimes I need a bit more flour, but not much. Hi Debra, I’m thrilled that you’re making such good use of this recipe! I have been looking for this recipe for a long time. I am originally from Fredericton, NB and was given this recipe by a co-worker. I know I made it a lot but when we moved I lost it. When I made it, instead of using bread pans, I used juice cans. (Apple or Tomatoe). Just make sure to grease well! Thanks for sharing! Hi Dawn, How great that you have rediscovered an old favourite. I love the idea of baking it in juice cans…very festive. I have heard of shredded wheat in bread. Do you prefer the oats? I have never made bread before, white or brown and this bread was so easy to make and tasted really good!! So happy I found this receipe. Hi Gail, I’m so pleased that you discovered this recipe. I warn you though, you might be hooked on homemade bread forever! Hi there! I just made this bread and it turned out awesome- so easy and soooo moist- we have eaten half a loaf since it came out an hour ago! We are down here on deer island and I was pleased to see it was a “local” recipe : ) Thank-you for sharing! Hi Natasha, I’m so pleased that you liked it. Gotta love easy yeast bread recipes, especially in winter. hi , can I mix this in my kitchen aid , I find it hard to mix breads. and do I use the dough hook after mixing like other breads. or just mix and put in the pan. thanks. looking forward to trying this. Hi Valerie, Yes, go ahead and use the dough hook on your mixer, just like for other breads. Hi Bridget- do you mind if I post this recipe on my blog? 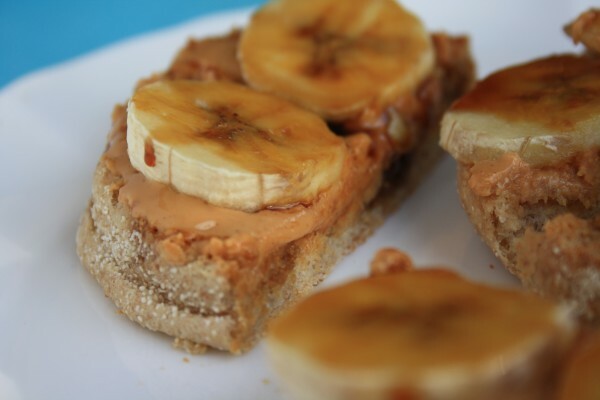 I will give the link to your blog and make sure I put crosbys molasses…..
Hi Natasha, You’re welcome to share the recipe on your blog. Standard practice is to not include the method on your site and instead link back to the original site for the method. I hope that works for you. Thanks. Hi Natasha, You have a great blog, and I log that it’s local. Your old reciepes are no longer on your website??? I loved the cornbread and molasses brown bread – any chance you’ll load them again? I never printed them expecting these oldies-but-goodies to always be there!! Help! Hi Maggie, We’re in the process of moving to a new site and are working through some lumps and bumps. You’ll find all of our old recipes at http://www.crosbys.com. If you’re having trouble please email me bridget.oland@crosbys.com and I’ll ensure you get what you’re looking for. Sorry. Hi Angela, This recipe is a favourite in our house too. Also, I never thought to use the dough to make rolls. Thanks for the suggestion. I am adding a cup of grape nut cereal hoping to get a moist, dense bread…we will see! Hi Chrissie, I’d love to hear how your bread turned out with the grape nut cereal. Anxious to make this recipe. I have never made bread before ! Tell me, when you pour the 2 cups of water over the oats, do you mix it all before cooling it ? Thank you !! Hi Patricia, Yes, you can mix it together. Good luck. I just returned from grocery store with Crosby’s Molasses in tow. Unfortunately I see that I got the “cooking” molasses instead of the “fancy” molasses. What is the difference and should I get the fancy one instead? Hi Dot, Cooking molasses is a blend of blackstrap (70%) and fancy (30%) so is much more robust than fancy (and quite nutritious). I use it in recipes that call for no more than 1/4 cup of molasses. You can also use it along with fancy, just to use it up. There are those who wouldn’t use anything else in the baked beans but it’s al a matter of taste. 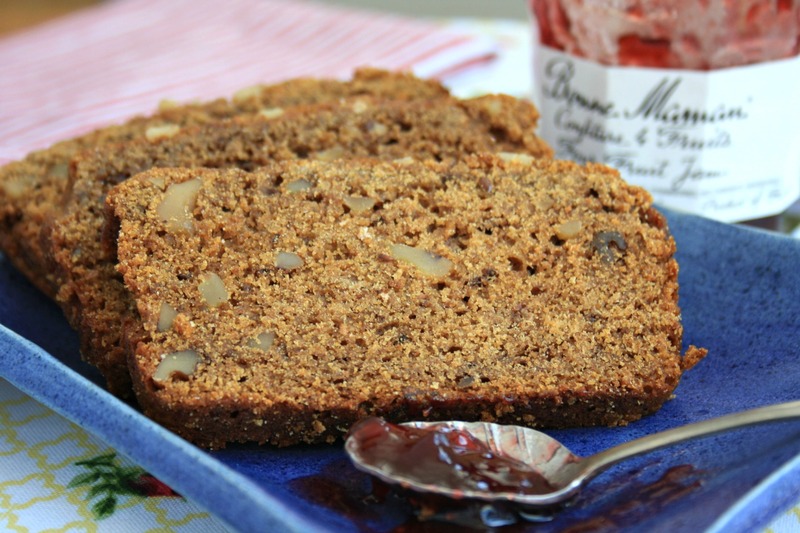 I made the oatmeal brown bread and it is yummy, will be making this often!! I make this recipe, except for using regular bread pans, I grease (really well) large apple juice cans, let raise and bake. I make the loaves about the size of a large grapefruit. When it raises, it almost fills the can. Makes a really nice slice. I also have a bread machine recipe that tastes exactly the same. I love that idea! It must make such a pretty load. Thanks for the suggestion. Also, I’d love to see your bread machine recipe. I get asked all the time for a book oatmeal brown bread recipe for the bread machine but I don’t have one. Hey Bridget. I found this recipe to be almost a batter with just 6 cups of water – so much so that I couldn’t handle it to divide into the pans. I do notice that other recipes I found don’t use as much liquid to roughly the same amount of flour. I did put in 2 more cups of flour and still it was sticker than what I would call “normal” (it’s rising now). Is it supposed to remain quite wet? I notice that no kneading is called for in the method. Weather can do funny tings to bread dough moisture so I wonder if that’s the case with your bread. Let me know if it baked up okay. Also, this is a “no-knead” recipe, which is part of the appeal. Hi Julie, You could start by tripling the recipe to aim for 6 loaves. When it comes to flour you might need to just go by feel. From there you can try doubling the larger recipe. Sometimes when I want to make six loaves I just do the recipe three times at once (I have three large mixing bowls). 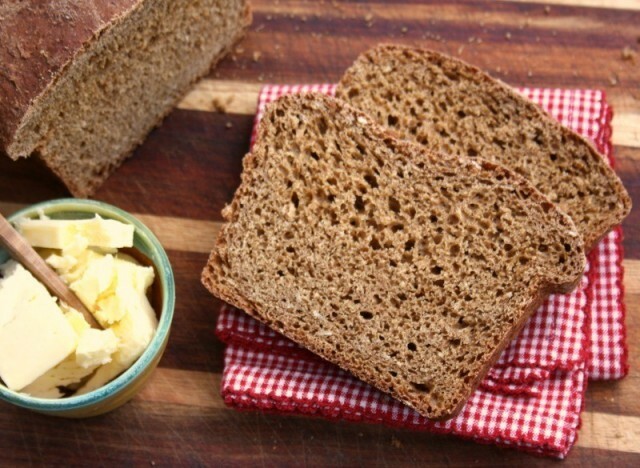 This is my go to recipe for brown bread…..so easy…so delicious. No need to look any further. Hi Lisa, I agree, it’s one of those classic recipes that you never want to replace. Hi Sherry, I hope your bread worked out well. It’s one of my favourite recipes. I just made this bread for the first time today. It is freakin’ awesome. Thank you! I baked both loaves in metal loaf pans and at 350F, but it only took 40 mins. I then brushed some melted butter over the hot tops to prevent the crust from getting too hard. First loaf is already gone…….oh my. Hi Leta, so pleased that you enjoyed the bread! I’m just waiting for my laves to rise. I used half honey and half molases, I can’t wait to see how it tastes! I’m a transplanted Newfoundlander living in Vancouver. My grandmother was an awesome baker who made every single one of her magical creations by feel, and with whatever ingredients she had on hand. Her oatmeal brown bread, which she referred to as “lassi bread”, tasted just like this recipe. Her version of this bread was much more labour intensive, and baked in a wood stove. She rose well before the sun did on bread baking day (always Thursday) and filled her house with the luscious scent of bread rising, baking and cooling. Everyone wanted the heel of the loaves, but they were reserved for my paternal great grandmother. This recipe was dead easy to make, and tastes pretty much exactly like my grandmother’s: divine. Thank you so much for this gift. I made a dozen loaves and shared them with neighbours, like my grandmother always did. Dear Deb, I love to hear stories like yours so thanks for sharing. 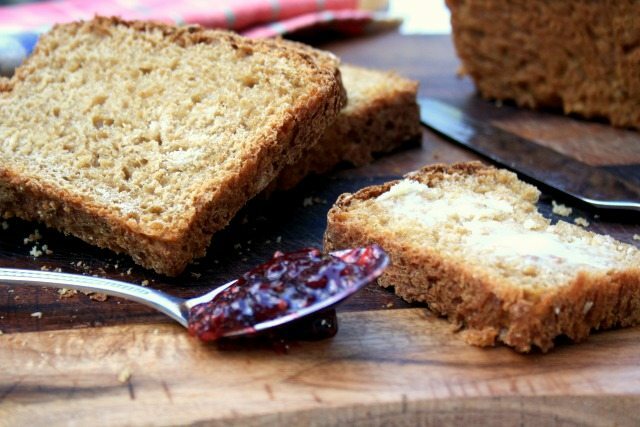 And I’m happy that you found this easy version of an old fashioned brown bread so you can continue your grandmother’s traditions. Bob, try looking at the top right-hand corner of the photo… there should be a “print” icon. Please keep printing and cooking/baking! Home from work today because of another PEI blizzard and just made Mom’s Oatmeal Brown bread recipe. It was delicious! Going to make this often whether it’s winter or summer! Many thanks from Charlottetown. Hi Laura, Glad you like the recipe. It’s definitely a favourite in our house. I made this recipe to have fresh bread for my New Brunswick Baked Beans it was superb! The only substitute was fresh yeast as I get better results. I added some sultanas to one of the loaves and it was delicious. Will definitely keep this recipe, it was so quick to come together and get into the oven. Thank you. I have a similar recipe for bread machine brown bread. My machine broke, so I will give this a try. I halved this recipe and tried it in my breadmaker and it came out good but it may have been a bit too much dough for the capacity of the machine – the top crust collapsed in one spot. I added 3 Tbsp of flour after it started mixing because the dough looked wet. Turned out very well though – great texture and taste – having a hard time keeping myself away from it…lol! Thanks so much for the recipe. Wendy, I’m glad it worked out for you. Homemade bread (well anything homemade) is hard to stay away from. Thanks for sharing. Made this today and it turned out great. I used the dough hook on my Kitchen-Aid but added the last two cups of flour by hand. Found the dough a bit sticky but not too bad. Perfect comfort food for a snowy, freezing rain kind of day here in New Brunswick. Will definitely make again and trying it with raisins next time. Anne, I am happy that your bread turned out fine. Raisins, I feel, just add and extra bit to the comfort. Thanks for sharing.